WASHINGTON, DC (Dec. 13, 2010) — NABJ President Kathy Times announced today that she has selected Rod Hicks as Convention Chair and Dr. Sybril Bennett as Programming Chair for the 2011 NABJ Convention to be held in Philadelphia, August 3-7. Hicks is a veteran journalist currently working as an editor for The Associated Press on its Philadelphia-based East Regional Desk, which covers 10 states. He also has held editing positions at newspapers in New Jersey, Michigan, Missouri and Alabama. He has a master’s degree in newspaper management from the Medill School of Journalism at Northwestern University and a bachelor’s degree in mass communication from the University of Alabama. Hicks has a long history with NABJ, having served on the national board in the early 1990s as a regional director representing members in six Southern states. He was co-chair of NABJ’s Election Committee in 1999 and served as a committee member for the two subsequent elections. He attended his first NABJ convention in 1989 in New York, and has attended every convention since. His wife, Velvet S. McNeil, is chair of NABJ’s annual photo auction. Bennett is a Vanderbilt-educated, Harvard-trained, two-time Emmy award winning multimedia journalist. She is currently an Associate Professor at Belmont University in Nashville, where she helped to establish the New Century Journalism Program. Dr. Syb, as she is affectionately known, has twenty years of professional experience in the media. Prior to her appointment at Belmont, Dr. Syb was a general assignment reporter and fill-in anchor and talk show host at the CBS affiliate in Nashville. She also was an associate producer, news writer and weekend assignment editor there. In Chicago, she was a desk assistant at the CBS affiliate as well as a news trainee; and eventually an associate producer and weekend assignment editor at the ABC affiliate in Milwaukee. 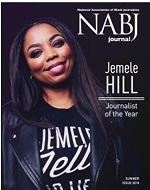 Bennett has been a NABJ member since 1989, and is among the founding members of the Digital Journalism Task Force, a former producer of the NABJ Gospel Brunch & Plenary Sessions, as has served as Professional Development Chair of the Nashville Chapter year. The 2011 NABJ Convention and Career Fair is the premier venue for digital journalism education and career development presented by the nation’s leaders in media, business, arts and entertainment and technology. Professional journalists, students and educators will participate in full- and half-day seminars designed to strengthen and enhance their skills. Workshops throughout the five-day convention will highlight journalism ethics, entrepreneurship, specialized journalism and transitioning journalism skills to book publishing, screen writing and media relations. 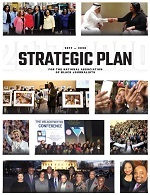 NABJ members can now take advantage of NABJ’s Convention Sale. Members who register by Dec. 31, 2010 will save $50 on registration, please click here for additional details.